Subrahmanyam has written 16 books and edited almost as many. Subrahmanyam’s work, steeped as it is in Western and non-Western historiography, conveys a fuller, more-rounded history than most other scholars have been able to provide. The Dan David Prize’s unique approach utilizes a “roving” formula that rewards achievements in all fields of human endeavor, rather than in a fixed set of categories. Each year a new theme is selected for each of the three time dimensions, recognizing accomplishments that expand knowledge of the past, enrich society in the present, and promise to improve the future of our world. 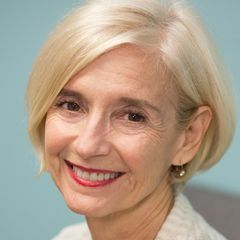 Along with the macro history awardees, the 2019 Dan David Prize will also honor Michael Ignatieff and Reporters Without Borders for their remarkable work in defending democracy, as well as Christiana Figueres for her achievements in combating climate change. The total purse of $3 million makes the Dan David Prize one of the highest-value prizes internationally. Previous prize laureates include cellist Yo-Yo Ma (2006), HIV co-discoverer Robert Gallo (2009), novelist Margaret Atwood (2010), filmmaker brothers Ethan and Joel Coen (2011), and Wikipedia founder Jimmy Wales (2015). “Rather, their work represents a deeper understanding of the complex interactions and interdependency of peoples and societies across the globe,” he said. 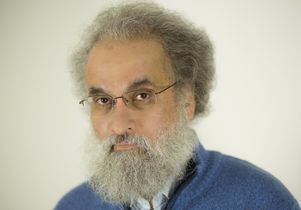 UCLA professor of history Sanjay Subrahmanyam.